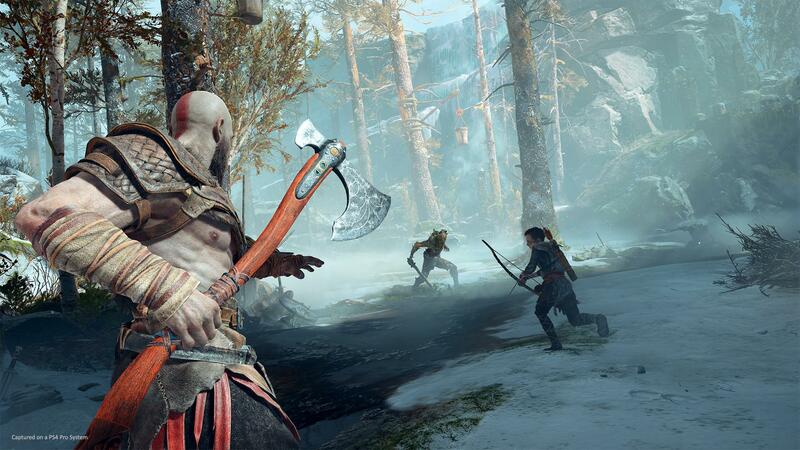 We’re just three weeks away from the next God of War release and it’s looking bright for Sony in the start of the second quarter of 2018. We have seen the gameplay changes, the approach in combat, and the possible emotional twists that this new God of War entry is going to give players. This might not be the old God of War that everyone knew. The game deviates from the button mashing hack n’ slash combat in favor of a third-person perspective with fighting mechanics almost similar to Bloodborne and Hellblade: Senua’s Sacrifice. There are some quirks, for sure, this direction that SIE Santa Monica took gives God of War more of the reboot touch than a remake. Leif Bornales: I’m expecting a massive open world game with an enriching and detailed story with challenging combat and upgrade system, smart AIs and a variety of enemies. Enricko Ozoa: I expect it to retain its linear gameplay from the first 3 games, yet introduce us to all new mechanics that would have been this game’s “thing” and separate it from its predecessors. May Alturas: I really have high expectations. I want really good storytelling and amazing combat mode. Blood and gore like the old God of War, I like to know the son more; how he came to be and what’s so special about him. How Kratos got involved with Norse and will I see Thor, Loki or Odin? Possibilities are endless and I truly hope this game won’t disappoint. David Rix: I expect a deep dive into the repercussions of Kratos’ actions from the previous games. How his past still haunts him even though he’s in a different realm. Also, a lot of ripping living things in half. Carri Abenoja: I expect the game to be epic and emotional. I also would want to know how Kratos got mixed up with the Norse Mythos – is this a parallel universe? Is the kid his? Did Kratos remarry or did he just impregnate a woman like some gods do? One thing’s for sure: this isn’t a remake. Gareth Newnham: It’s the biggest bait and switch since Metal Gear Solid 2. You don’t play as Kratos for most of the game. You play as his son who becomes the next of God of War. I know I’m probably talking out of my arse but I really want this to be true. Jason Ong: I’m expecting that the new mechanics will be as immersive and enjoyable as the previous God of War games had, but keeping the same feel as it did before. Plus, some questions need to be answered on how Kratos survived and how he landed in the Norse to begin with. Carl Christopher Cane: I’m expecting that there are never-ending side quests. New weapons that haven’t been introduced and an explorable open world with dungeons. Jett Vincent Sia: I wanna know who the mom is or if the kid is adopted. Will the story reach Ragnarok and if there will be mentions of his Greek roots especially now that he’s in the Norse Mythos setting. Personally, I’m pretty much excited for God of War. The new direction and mythos pave way for a lot of possibilities for the franchise. Considering that this is technically a sequel and reboot, there will be tons of changes, especially with its formula. I can’t actually wait how the combat turns out to be and how it will also be challenging for newcomers and fans. Much like Horizon: Zero Dawn, Guerrilla Games new IP and its first take on open-world RPG, I have a good feeling about this road that SIE Santa Monica took for God of War. Now you guys know what we expect and feel about the upcoming God of War? What are yours? God of War launches on April 20 exclusively for the PS4.